The Emoji version 11.0 list didn't quite make it into the initial iOS 12 release, but it's coming soon. Back in July, Apple celebrated World Emoji Day by announcing more than 70 new emoji that would make their way to iPhones and iPads in iOS 12. Unfortunately, those emoji didn't make it into the initial launch of iOS 12. On Monday, Apple announced that the new images will be included in the iOS 12.1 release. The emoji are all part of the Emoji 11.0 standard list, and include people with red hair, grey hair, and curly hair. In addition, you'll find superheroes and villains, along with lots more food and animals. 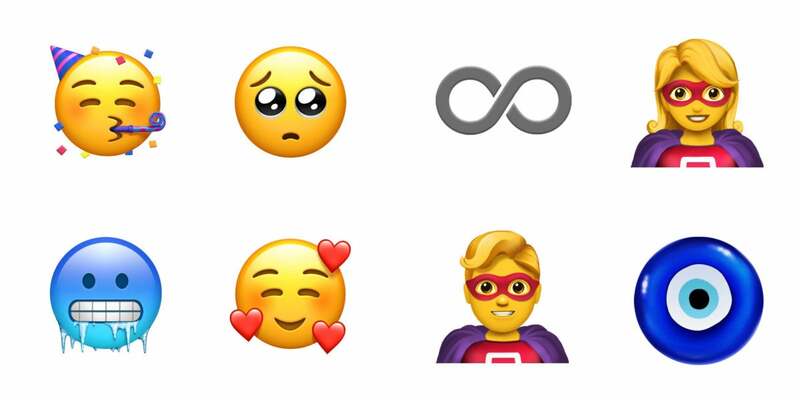 These emoji are currently supported in the latest operating system releases from Google and Samsung, and are coming in the October build of Windows 10. Apple says that, in addition to iPhones and iPads getting the new emojis in iOS 12.1, they'll come to watchOS and macOS in software updates, too. iOS 12.1 also adds Group FaceTime, real-time depth control for the iPhone XS, and eSIM support.